I’m thrilled to announce the preview release of Enterprise Cost Management within the Azure portal. 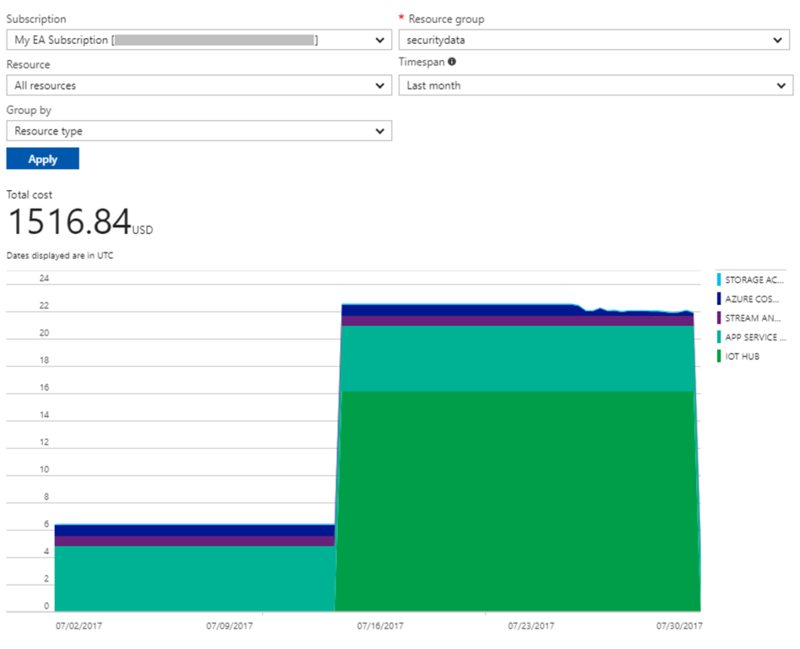 With today’s release, Azure Enterprise Agreement (EA) users can view and analyze their subscription costs across different pivots, within the Azure portal. This addresses a top ask from our EA customers to empower subscription admins with visibility into their costs. We’ve also heard you on the need for more granular cost reporting by resource group and tag. This is an initial step in our commitment to providing best-in-class cost management experiences within the Azure portal. Over the next few months, you will continue to see us roll out new capabilities to help you better manage your Azure costs and services. In the remainder of this post, I walk you through some of the new features we’ve made available. All you have to do is sign in to the Azure portal at https://portal.azure.com. Go to Browse -> Subscriptions and click on your subscription. You’ll see the below charts in the Overview blade. The pie chart on the left gives you a quick idea of the top resources contributing to your costs. The burn rate chart on the right tells you your month-to-date costs and provides a forecast, enabling you to take corrective action early. Click into the pie chart or on Cost analysis in the Resource menu. This launches the Costs by resource report that gives you a breakdown of your costs by resource. 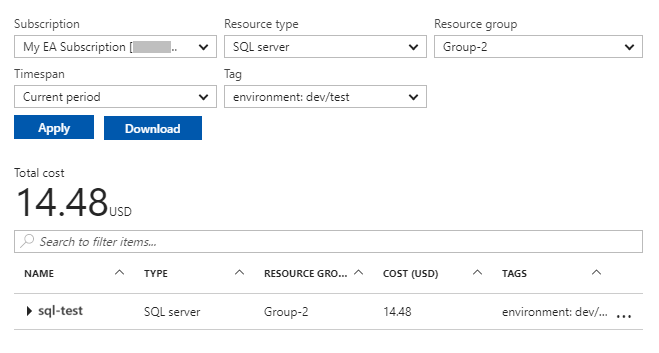 Here you can filter costs by Resource Group, Tag, or Resource Type. If you spot excessive spend, you can right-click to navigate to a resource and view its activity logs or take corrective action. You can also download the results into a CSV file for offline analysis. Further, left-clicking into any resource will launch the Cost history report. This enables you to spot trends and spikes in costs. You can get cost history for a resource group or resource, and group the results so you can easily identify what’s contributing to costs. Note: in order to access these subscription-level costs in the Azure portal, the user needs to be a Billing Reader, Reader, Contributor, or Owner at the Subscription level. To learn more about these capabilities, visit our help documentation here. As mentioned above, this preview is just an early step in our efforts to build rich cost management experiences in the Azure portal, for Enterprise customers. Over the next few months, you will continue to see us roll out new capabilities to help you better manage your Azure costs and services. As always, we’d love to hear from you. Send us your feedback here.